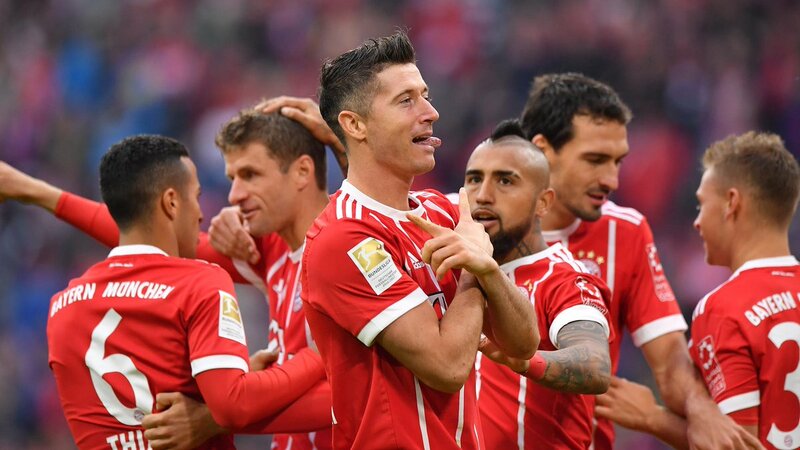 Robert Lewandowski’s double strike helped the German record champions to down hapless Mainz 4-0 and to ensure the third win of the season. 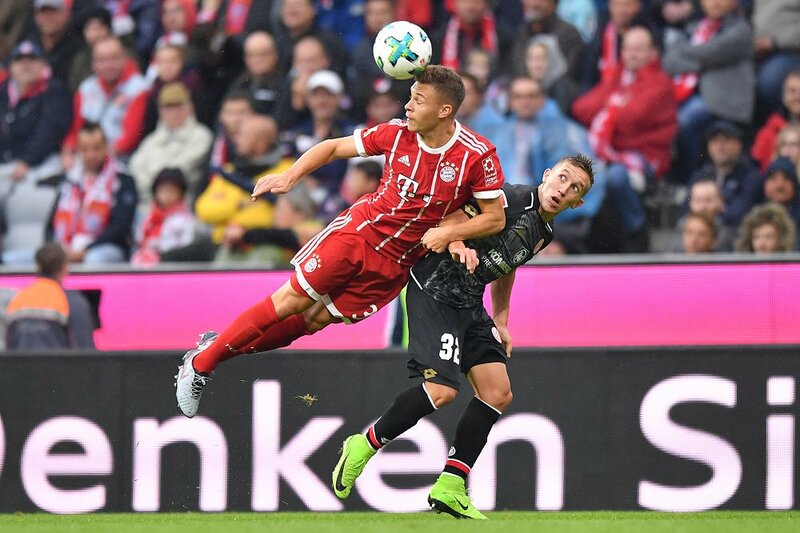 Although Mainz grabbed the first chance of the game through Daniel Brosinski it were the hosts, who opened the scoring with eleven minutes into the game when Joshua Kimmich’s square pass found Thomas Mueller, who poked home in a busy penalty area. Mainz worked another chance but Manuel Neuer denied Robin Quaison in a one-on-one before Kimmich’s through ball allowed Arjen Robben to chip the ball over onrushing goalkeeper Rene Adler in the 23rd minute. 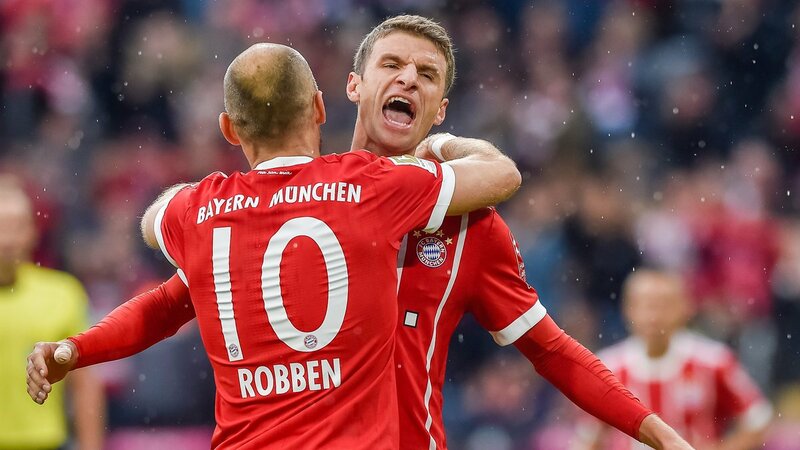 After the restart, Bayern started where they left off as Robert Lewandowski tripled the lead after tapping home Thomas Mueller cross into the area with four minutes into the second half. The Poland international wasn’t done with the scoring as he sealed the deal after providing his 82nd goal in his 100th Bundesliga appearances. 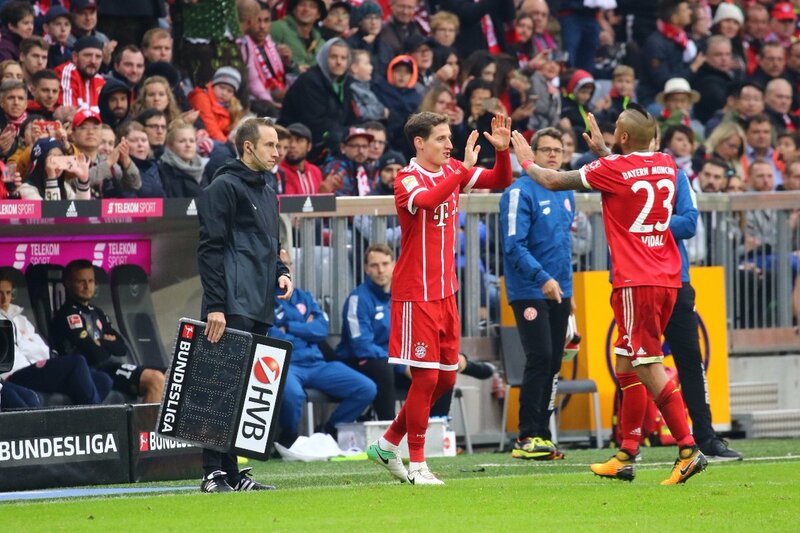 Lewandowski made the most of Kimmich’s cross to head home the final 4-0 score in the 77th minute. With the result, Bayern climb on the 2nd place of the standing while Mainz slumped to the 14th position. Leipzig squandered their lead twice to share the spoils with resilient Borussia Monchengladbach following a 2-2. From the kick-off Leipzig implemented their fast-paced style of play to press Monchengladbach into the defence. Leipzig’s efforts paid off with just 17 minutes into the game as Timo Werner finished Bernado’s low pass into the box for the opener. The “Foals” remained unimpressed and were able to level the scores after Thorgan Hazard kept his nerves from the penalty spot to make it 1-1 on the scoreboards in the 25th minute. However, Leipzig needed another six minutes to capture the lead again after Naby Keita’s pass into path found Jean-Kevin Augustin, who made no mistake to slot home the 2-1 lead from the edge of the box. The hosts remained in control of the first half and they should have added another goal to their lead but they lacked in accuracy. As a consequence, Monchengladbach punished Leipzig for their wastefulness after the half-time as Lars Stindl’s long-range effort found the back of the net to restore parity in the 61st minute. 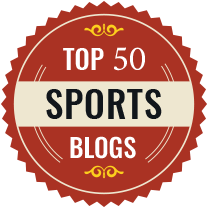 Things went from bad to worse for Leipzig as Keita received his marching orders after a rude foul play. Monchengladbach pressed frenetically for the winner but they were unable to take advantage of their superior numbers. With the draw, Leipzig slipped to the 5th place while Monchengladbach dropped to the 10th position. Elsewhere, Schalke hijacked three points from Bremen after bouncing back from one goal down to win 2-1 on the road.